Mels Gym have extended their stay with Workspace Properties and from the 1st May 2013, they will be based out of Unit 15 at Yarrow Mill in Chorley. The new unit gives the gym better access and a more prominent location from which to grow their ever more popular setup. We would like to wish Mel and his team the best of luck in the new location. 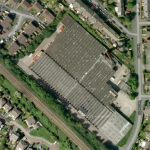 We are delighted to announce that from the 1st May, we have a 4,000 sqft industrial/workshop/storage unit to let on the popular Yarrow Business Centre in Chorley. The unit benefits from large roller shutter access from a communal entrance and comes with shared W/C facilities. At just £2/sqft, it is perhaps one of the best value units currently on the market, and will inevitably be snapped up quickly. Available on a flexible contract to suit the tenant. For more information, or to view the unit, please contact us. We are delighted to announce that from the 1st April, we have a 2,500 sqft unit available to let on the ever popular Chorley Central Business Park on Stump Lane in Chorley. The unit is only a few years old and has been constructed and fitted out to an extremely high standard. For more information or a viewing, please contact John Ambrose on 01257 231100. 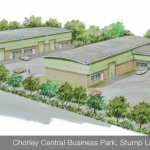 From the 1st May, there will be a 5000 sqft unit available to let on Lower Healey Business Park in Chorley. The unit is within a large portal frame steel building and benefits from rollershutter and personnel door access. It comes complete with W/C and kitchen/staff canteen facilities and must be viewed to be appreciated. Due to the circumstances around the unit becoming available, it can be increased or decreased in size to suit the tenant if the interest is shown early enough. Lower Healey Business Park is covered by 24/7 CCTV and benefits from electronic barrier access and full perimeter fencing. 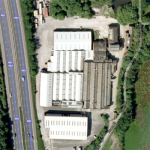 As of the 1st April, we will have a 1,000 sqft unit to let at our Yarrow Business Centre site in Chorley. The unit is ideal as a workshop or storage unit, and has direct external access via double doors. The unit is available on flexible terms at just £67.50 p/w + VAT & Service Charge. Workspace Properties have now registered their team’s contact details on storme. storme is the new way to share and store contact details on Android and iPhones. Our new business cards will feature storme QR codes on the reverse, meaning our details can be added to your phonebook by either scanning the code using the storme App, or typing the email address into the app. We think this is a great new idea, and would love you to create a storme profile and share it with us. We are delighted to announce that AKM Fabrications Limited have extended their stay with us at Yarrow Business Centre, Chorley. 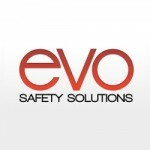 AKM Fabrications Limited is a leading manufacturer of Roof Safety Products, Rubbish Chutes and a vast range of bespoke metal fabrications, as well as producing niche “working at height” products, in the form of Evo Safety Solutions. They are a successful family run business and we would like to wish them every success over the coming years. We once again have 1 x 20′ shipping container available to let on our site at Lower Healey Business Park in Chorley. 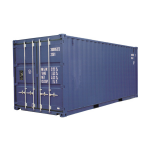 The containers are ideal for local tradesmen and for general storage, and are all clean, dry and in excellent condition.